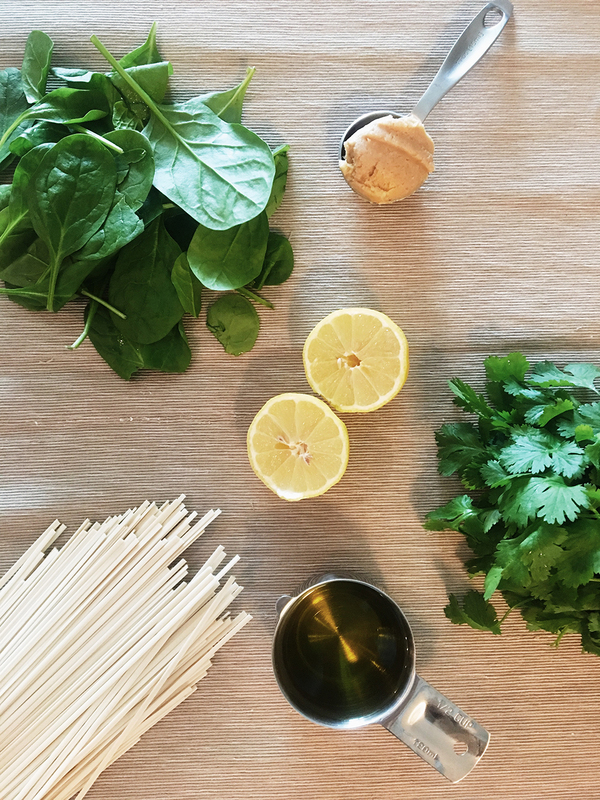 While noodles are cooking, blend spinach, cilantro, miso, garlic, grapeseed oil, sesame oil and lemon juice. If you’re having trouble blending, add a tablespoon of water. 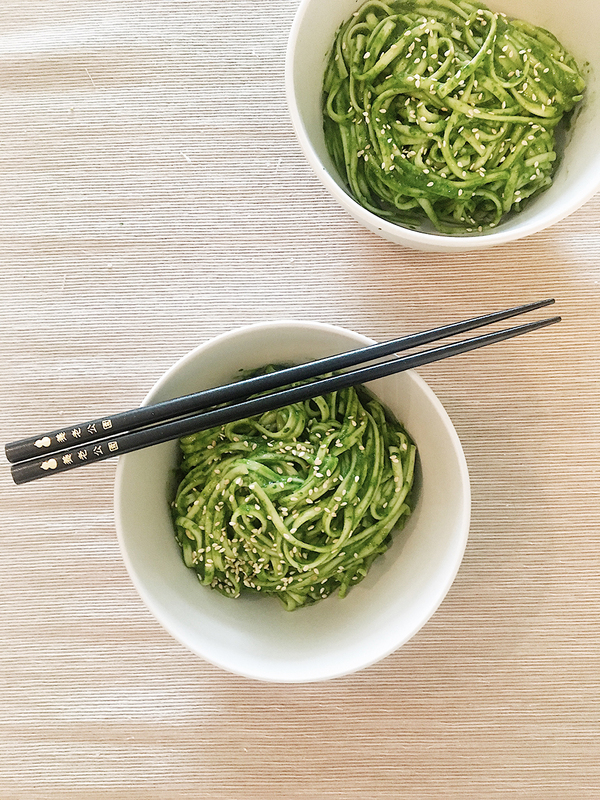 Combine warm noodles, butter and pesto in a bowl until noodles are completely coated. 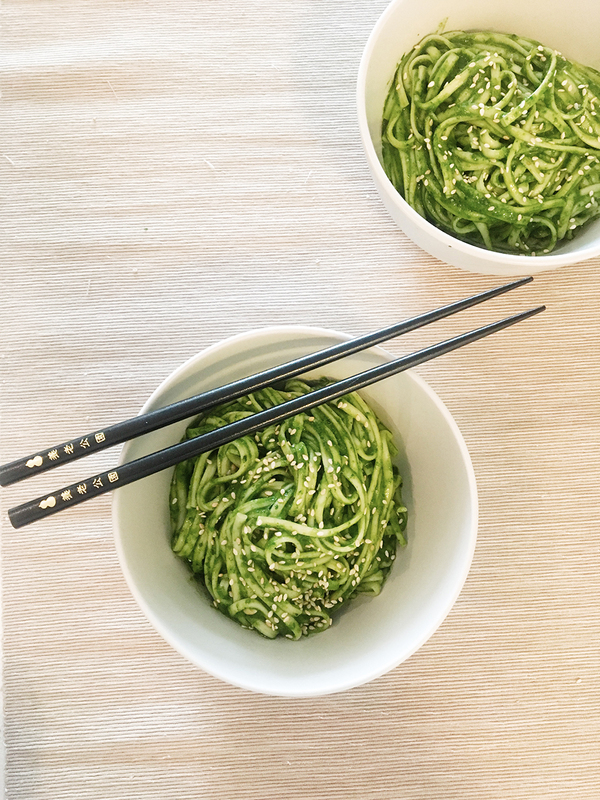 Serve in bowls and top with toasted sesame seeds. Enjoy! And if you’re looking for more delicious recipes, check out more of our favorites below!